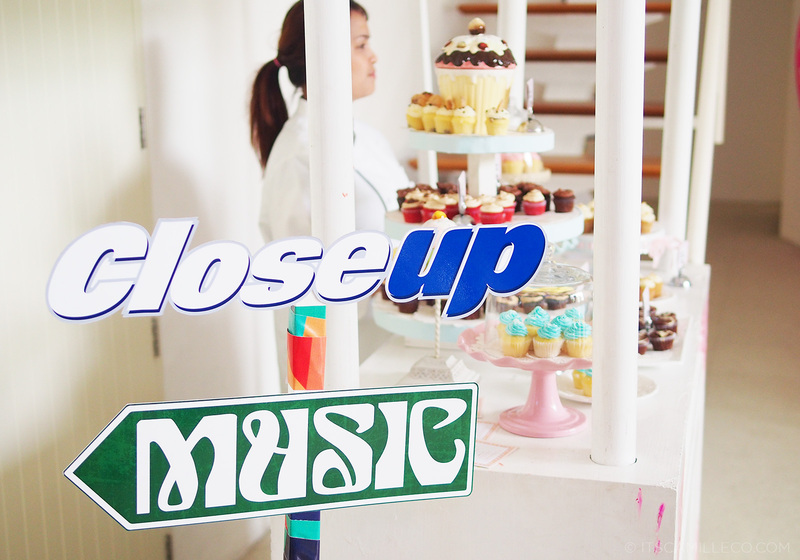 A few weeks ago, CloseUp finally announced their big event for summer. 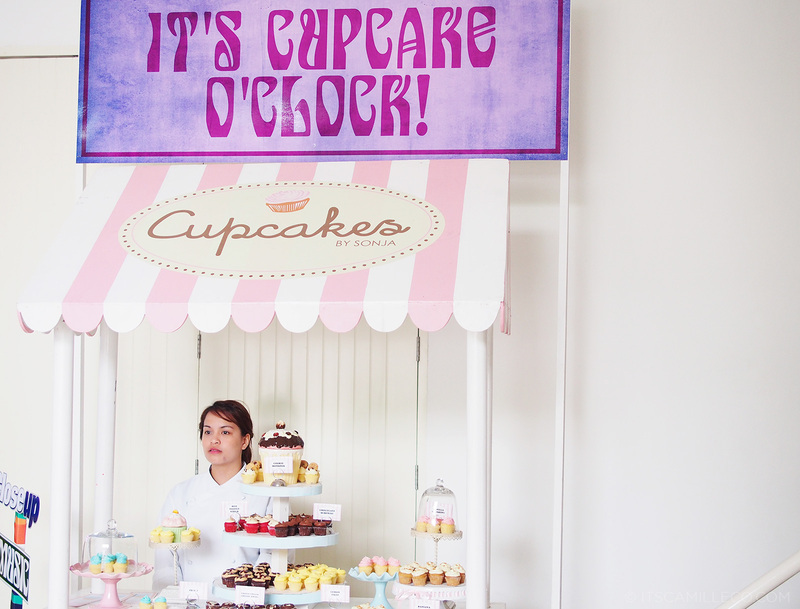 Being one of Closeup’s brand ambassadors, I was already privy to the details of the event since last year. I’ve been dying to share the news to everyone but I wasn’t allowed to yet so I was only able to drop hints every now and then like my tweets with #BYOB or “Bring Your Own Beat”. Now though, no more hints! I can finally tell everyone what all of us ambassadors have been so excited about! With the hashtag “Bring Your Own Beat”, you might’ve already guessed that this event is connected to music. CloseUp has always been in tune with the current youth generations. 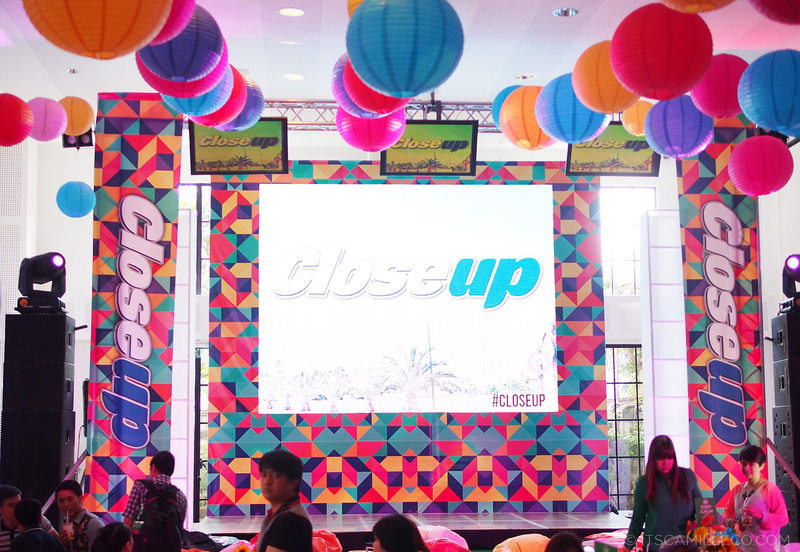 Because popular and iconic music is a very large part of its heritage, CloseUp has decided to bring the youth together in a music festival that epitomizes summer confidence and fun. Since CloseUp gives you 12-hours of fresh breath, what better way to get closer to others than to hold a music festival for 12-straight-hours of non-stop fun and partying? 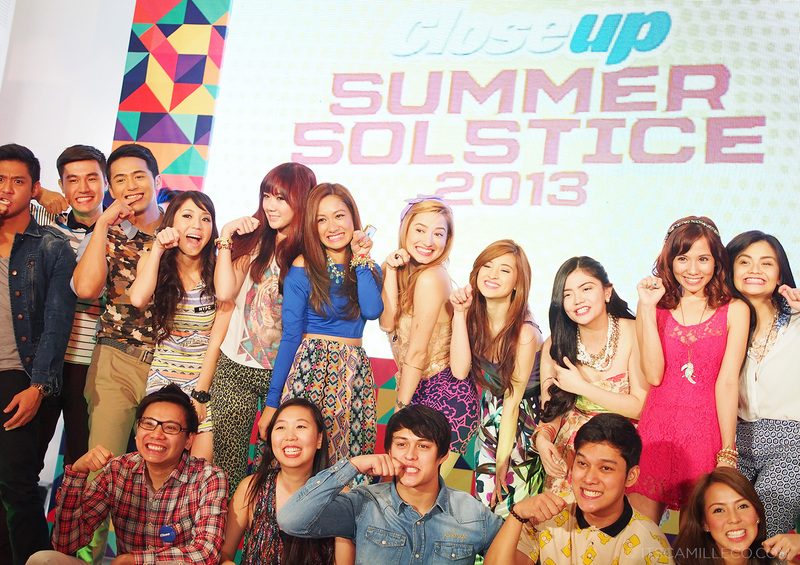 Manila, get ready for the biggest music festival to hit this town–Closeup Summer Solstice! Now before I share with you all the details of CloseUp Summer Solstice (hold your horses, people), let me show you what I wore to the press launch first so that we can get that out of the way. All the brand ambassadors were told to come according to theme–something we’d actually wear to a summer music festival. Since you’ve already seen me in my corset + shorts indie get-up, I figured I’d show you something different but still music festival-appropriate. Whenever I think about what to wear to music festivals, I always consider 3 things: weather, comfort and functionality. Nothing should hinder you from running and jumping all day long. Loose tanks like this are great. The big armholes on the side allow for some sort of makeshift air conditioning haha! Of course you shouldn’t forget about the design too. Music fests are full of interesting people. No one likes a bore so choose prints that are edgy. I chose to showcase a tiger or Pi. The graphic illusion around it is so trippy which makes it perfect for the festival. Instead of matching it with a pair of shorts again, I opted for my funky printed pants. 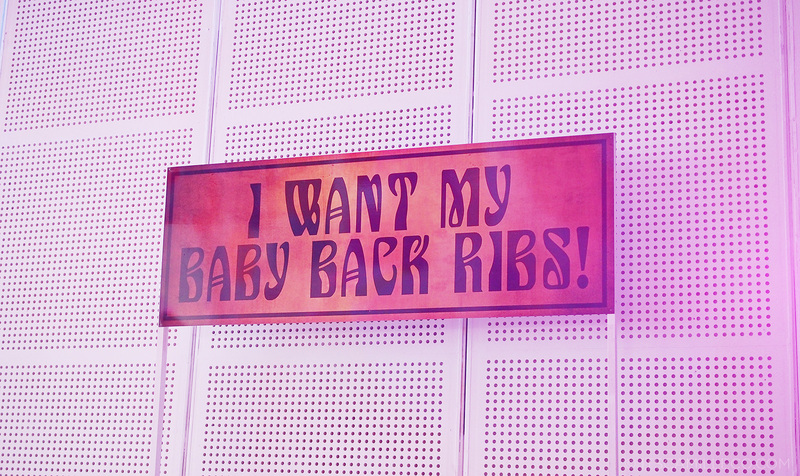 This way, I’m sure I won’t find an outfit twin at the music festival. Besides, we were already informed beforehand that we’ll be sitting on bean bags at the press launch so pants seemed like the most logical choice. Disclaimer: Not a chance in hell will I wear heels for a music festival but this was a press launch after all so I needed my heels! Okay then! 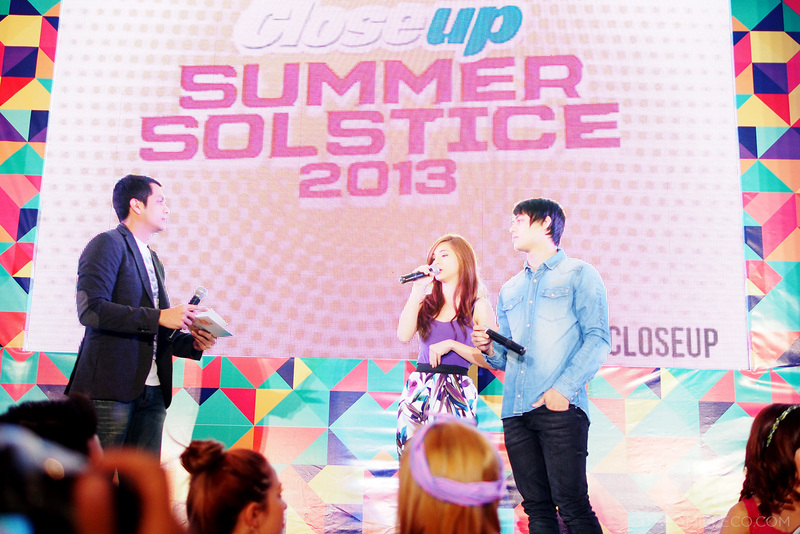 Now that I’ve finished my fashion blogging duties, let’s go back to the details about CloseUp Summer Solstice. 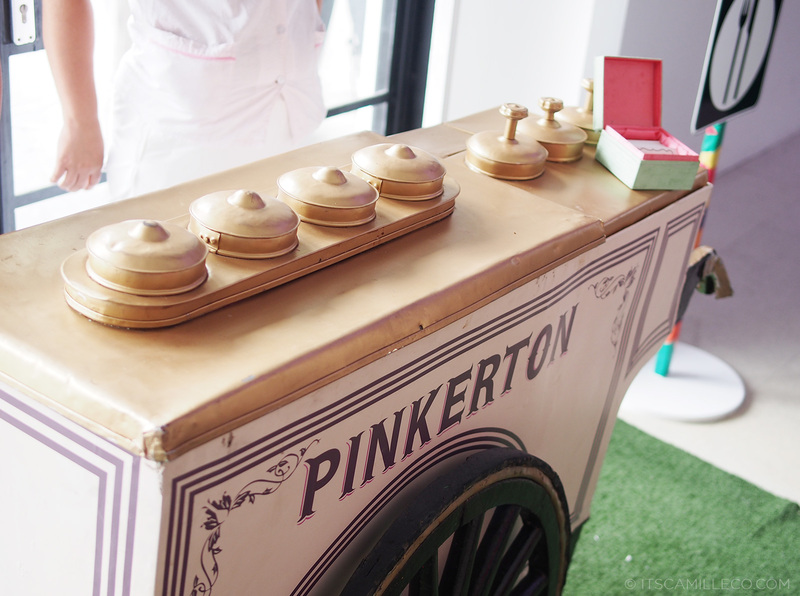 During the press launch, no one had a clue what it was all about but I think the set-up may have given it away. 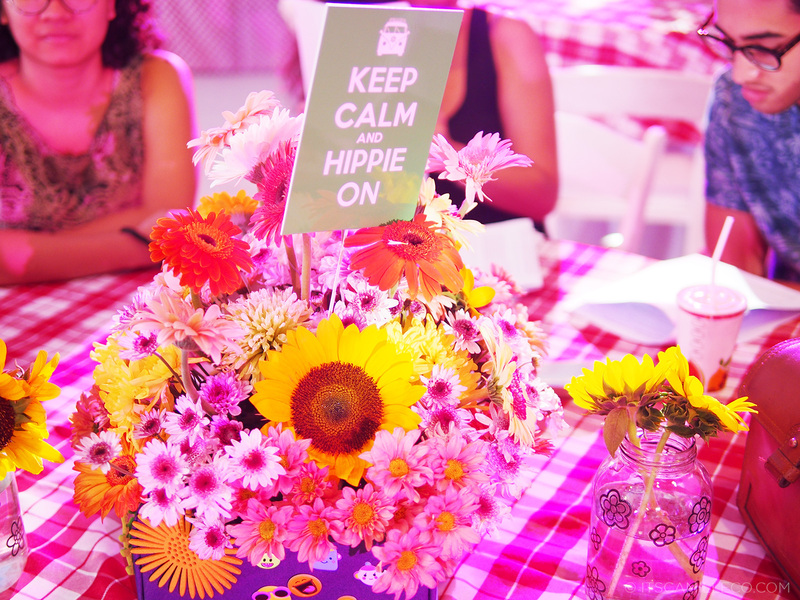 The set-up was very much like what you’ll see at a music fest–food stalls, cute signage and pretty decor! Even at a launch, my fellow ambassadors Seph Cham, Shai Lagarde, Verniece and Vern Enciso were busy on their phones! They’re Close-up’s blogger group, together with David Guison who unfortunately, was absent at the launch. More ambassadors! Mike Conception, Ava Daza, Carla Humphries, Laureen Uy, Nicole Andersson and yours truly. Laur and I are actually just “saling-pusa” here. We’re part of the fashion group while Mike, Ava, Carla and Nicole are part of the socialite group which is another way of saying they’re the “life of the party” group! The radio jock group! Closeup ambassadors Riki Flores, Jessica Mendoza, Suzy Gamboa and Andi Manzano. During the launch, all the CloseUp barkadas/groups introduced the artists we chose to be part of the CloseUp Summer Solstice. Here’s the ABS-CBN group namely Colleen Garcia, Enrique Gil and Matteo Guidicelli (not in photo) introducing their choice–DJ Afrojack! 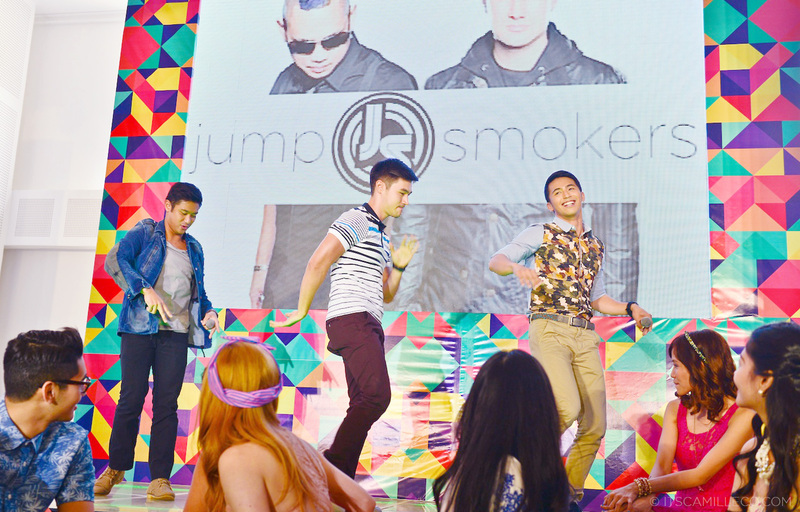 The GMA group, actors Rocco Nacino, Steven Silva and Enzo Pineda, even prepared a mini dance number to introduce their artist of choice–Jumpsmokers! Photo op with all the ambassadors or CloseUp barkadas! And another one, this time with the Unilever executives. Wondering who else we chose to include in CloseUp Summer Solstice’s lineup aside from Jumpsmokers and Afrojack? Sponge Cola, Urbandub, Sandwich, Dev, Cobra Starship (minus Gabe Saporta. The rest of the band will still be playing all their hit songs but with a DJ instead of Gabe Saporta on lead vocal), Alex Gaudino, Apster, and Cedric Gervais! That’s 12 hours of nonstop music and partying for you this April 27 from 4pm to 4am at the MOA Concert Grounds. Aside from awesome music, there will also be side activities like reverse bungee, food trucks, neon painting, stilt walkers, big art attacks, and more! Tickets are available at SM Tickets, Ticketnet and Ticketworld outlets. General Admission is Php2,000, VIP is PhP5000 and SVIP is Php75,000 for a table with couches good for 10 people (only available through Republiq at 0917-550-8888; comes with 2 alcoholic beverages, 6 cans of sodas and ice). If you purchase GenAd or VIP tickets now til March 22, you can get a 50% off early bird rate! This means GenAd will only be PhP1000 and VIP will be PhP2500. Oh what fun!!!! April 27 is actually just 6 days after my birthday so I’m treating this as a post-birthday celebration as well. Har har! Will I see you there? How do you wear a muscle shirt? Hi. Do you work out in Fitness First GH? Cause I think I see you there. Post ka nlang po, Miss, ng photos of the event pag nagkataon, pwede po ba? And kayo po ba nina Miss Kryz and Miss Laureen and sa fashion group? And kakatuwa dahil halos lahat kayo ay palagi kong nakikita sa Candy Magazine and esp Jessica Mendoza na dating presidente ng COC. cool!!! And also po, I have noticed, parang binili nyo po lahat ng ganyang klase ng shoes sa ZARA with just different colors, based on your previous posts. :) It’s so lovely po talaga. Haha! I love the style of the shoes kasi so I hoarded LOL :) And yes, just me Laureen and Kryz sa fashion group :) Super fun talaga! Haha I would die too if I wore those heels to a music festival, but they look awesome with the outfit here! I’m so inlove with your top, I really wanted to try top like that but I think I have fat arms, what should I do? parang last two weeks ago po you also wore a printed tiger top on your blog post “EYE OF THE TIGER” . I guess you love tiger that much^-^ this outfit really fits to the event very festive and so comfy to look at. Thank you Judy! Tigers make for some of the best prints! HI! What specific La Roche Posay products do you use? :) Thanks! wow,,:) Rocco… and you are so tall Ms.Camille, dapat sumali sa mga Top Models of the Philippines..
Hi camille, I know this is a really random question, but to get into the job profession that you are in, did you have to go to university? Well, I did graduate with honors in BS Management. I then got short courses in fashion after college :) I don’t think it’s a must but I definitely recommend it. Knowledge is power! amazing shoes, I like it! nice pics, you look fabulous ! Gorgeous bag, trousers, heels and jewelry :) Just brilliant outfit! You look great on your photos!Love your pants! I love the top, Ms. Camille! And the leggings :) I don’t think you’re saling-pusa there! You look very fab as always! Thanks Farah! They were so delicious indeed! Aww thanks Amber! :) Love Cebu! really love this look, I want your tee! Di na kita napansin dahil sa sobrang kasarapan ni Enrique Gil. haha! RAWR! Kung ako ikaw, di yan ang blog post title ko. Gagawin kong: “Breathing the same air with Enrique Gil” chos! haha! obsessed much? haha! Awesome! Does that mean, parang coachella ang peg? Hahaha! I’m pretty stoked about this! Yes! :) This will be so much fun!